Property 5: New listing. Absolute beach front with great views. Absolute harbourside beach frontage, best views of the water. Property 6: Absolute harbourside beach frontage, best views of the water. 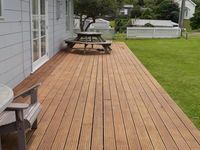 Property 8: Aotea Retreat. Stunning Harbourside beach front. 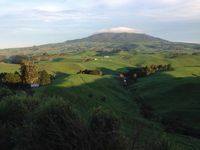 Property 23: Mt Pirongia Hideaway, peaceful and serene perfect for chilling out. Great loacation.Lovely clean and tidy house with everything we needed. The house is a great base to explore the area. It was comfortable and spacious enough for a family of 5. The place is sparkling clean, sunny and very well set up. The sunroom with large table and BBQ is a great bonus are were the passion fruit from the garden. Bridal Veil Waterfalls are just around the corner (short drive). We would definitely stay there again. Great house, very friendly hosts - we had a great stay. Thank you!